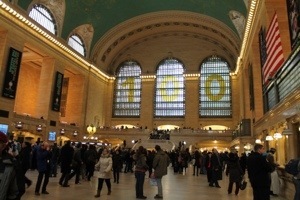 Monday the 18th of March was our first full day in New York. 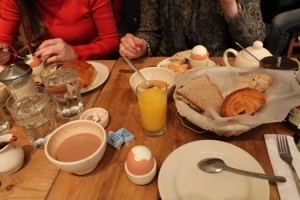 First we went for breakfast at le pain quotidien. 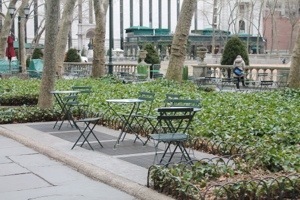 After that we went out to Bryant Park wich was right across the street from le pain quotidien. Here we met a very friendly New Yorker, who welcomed us in NY. 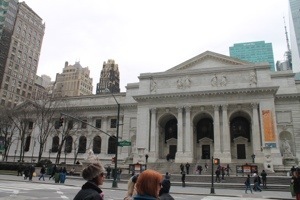 We had a lovely talk and after that we continued our tour to the New York Public Library. 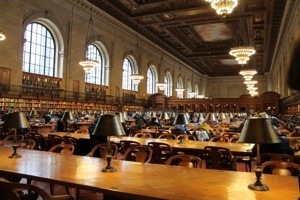 This library is so beautiful! I don’t think we have one so beautiful in Belgium. 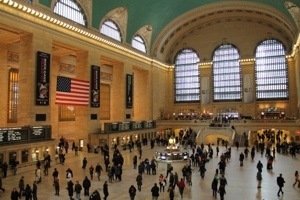 We posed for a few pictures, and then we went on to Grand Central Station. Crand Central celebrates its 100 years this year. Just like the library, the station is so beautiful. 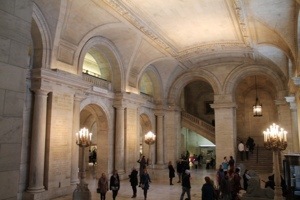 With all the marble and the ceiling. But, I do have to say that our station in Antwerp is very pretty as well. After seeing all these sites, it was time for a “little bit” of shopping. So we went to some shops, and to Bloomingdales because we were in the neighborhood. 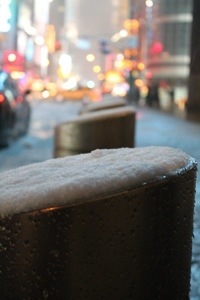 It started snowing a little when we got into Bloomingdales, and it was still snowing when we left there. We hoped it would have stopped snowing by then. We got into the metro and towards our hotel, so we could change our outfit and go to dinner. 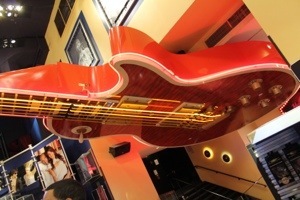 We went to the Hard Rock Cafe for our first real dinner in the city. 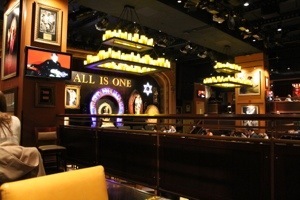 We all had their Legendary Burger! 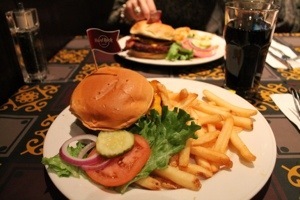 Jummy! 🙂 After our dinner we went for a little bit more shopping in Times Square, since we were there anyways. And that was our adventure on the second day of our trip to NY! Stay tuned for some more!